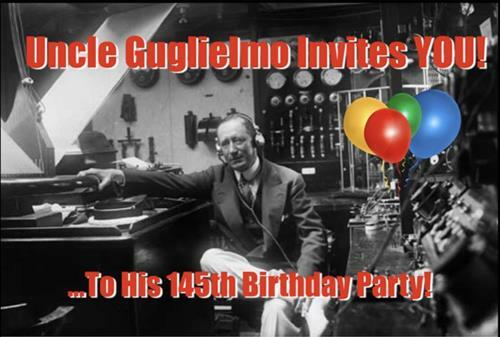 Name: Guglielmo Marconi's 145th Birthday Celebration - Calling New Volunteers! CMMC is celebrating Signor Guglielmo Marconi’s 145th Birthday with a special event for prospective new volunteers. Join the party! Sample the Wireless Museum’s exhibits and our Youth STEM Education classes. Find out if we’re on the same wavelength! Refreshments will be served along with informative conversation with knowledgeable volunteers. Explore the many volunteer opportunities at CMMC whether at the museum, with our STEM education programs, or in many other roles.